At Memphis Spine & Sport, you’ll experience chiropractic care that incorporates the latest advances in sports rehab, neuroscience, & nutrition to address your overall health & wellness. Walk into our clinic to experience a unique approach to patient-centered chiropractic care & sports rehab. Dr. Charles Hogan & his staff provide compassion & individual attention while offering the best in chiropractic care, sports rehabilitation, & wellness care to keep your whole body well. We will absolutely help you feel & function better. Come experience the Memphis Spine & Sport difference. 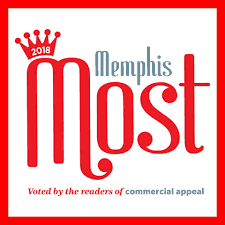 Voted the Best in Memphis, two years in a row. We are qualified experts of the muscles, joints, & nervous system, offering cutting-edge, effective treatment options without medications or surgery. Our Chiropractic Physician has a Master’s degree in sports rehab as well as hundreds of post-graduate hours training under the world’s best in rehabilitation. Our methodology will relieve your pain & rebuild your movement. Laser Therapy is clinically proven as an effective treatment for pain and inflammation. Able to penetrate to deep tissue structures, it’s a uniquely targeted & effective treatment for a wide variety of acute & chronic conditions. Acupuncture needles are used to reduce pain & improve function in muscles, nerves, & joints. Our unique approach to dry needling stimulates the nerves & reduces inflammation, making it a quick & effective method for reducing pain. Mobility is essential to good health. Once our Chiropractic Physician gets you moving better, take advantage of our wellness services to help keep you moving. Including boot camp classes, personal training, yoga, & tai chi classes! Our Chiropractic Physician has a Master’s degree in sports rehab as well as hundreds of post-graduate hours training under the world’s best in rehabilitation. Our approach to rehabilitation will relieve your pain & rebuild your movement. Mobility is essential to good health. Once our Chiropractic Physician gets you moving better, take advantage of our wellness services to help keep you moving. These include boot camp classes, personal training, yoga, & tai chi classes!